……which can easily be prevented when we are Juniors. With all the advances in medical science and improved levels of care over the past twenty or thirty years we are all living much longer lives than our forefathers. But with all these advancements in medical science, are we living a better quality of life as we get into our “old” age? 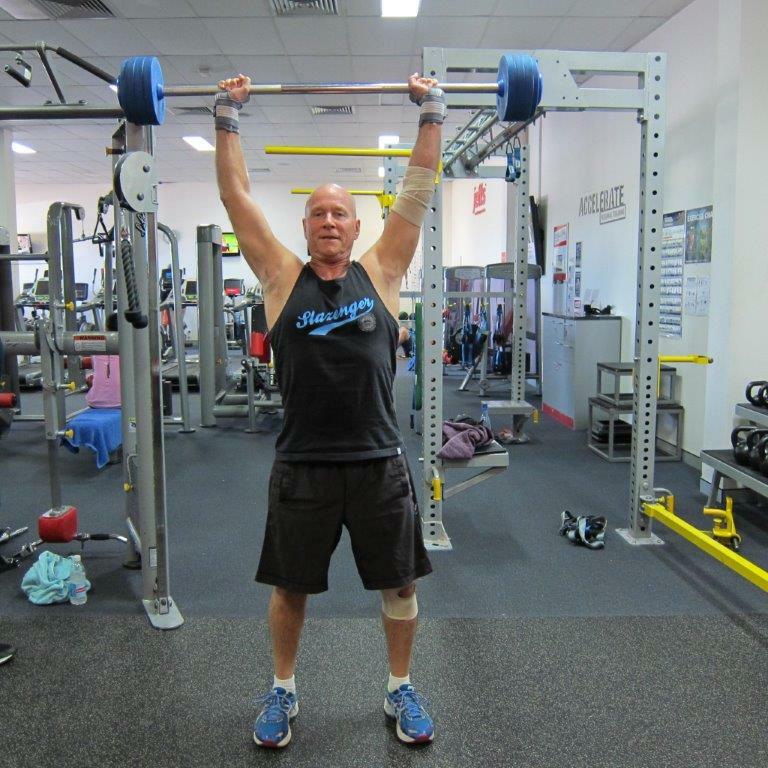 Here is a piece of research that astounded me recently (you should be concerned too)……one in three older Aussies has this muscle-wasting condition – and most of us don’t even know it until it is too late. If you would like to get an even better idea as to whether your body is slowly giving in to the symptoms of sarcopenia then try this Simple Questionnaire to Rapidly Diagnose Sarcopenia. It’s also a fact, the experts believe that sarcopenia symptoms are currently affecting hundreds of thousands of senior Australians (most other countries are showing similar figures), maybe even as high as 40% of those aged over our current retirement age of 65. Medical experts are also saying now that sarcopenia could even be more common than osteoporosis in Australia. Yet the real clanger for me about this debilitating, muscle wasting condition is this……sarcopenia is not even on the radar in Australia – it doesn’t officially exist. What’s more, it doesn’t help when the common belief out there in couch potato land is that many of us consider muscle loss to be a normal part of ageing. I feel that the symptoms of Sarcopenia is a medical condition with an identity crisis. And as a mature (70+) Active Ageing Mentor, I am here to motivate and share with you the benefits of my knowledge plus change the way you might think about muscle loss being a normal part of ageing. I can assure you, and I have proven it myself, this is not the case. Firstly, you need to know what Sarcopenia looks like – frightening, isn’t it? But, like me, you can do something about it and enjoy you retirement without any loss of independence. 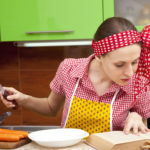 What are the Causes and How to Prevent Sarcopenia? Fortunately, The University of Melbourne is leading the way in a bid to recognise this silent epidemic that affects one in three people globally aged over 60. My advice to everyone (who are still young enough) is……fix it in your 30’s so you don’t have to worry about it in your 60’s. But, unfortunately, unless we do something about our age related loss of muscle mass and strength we are not going to be able to enjoy this new-found longevity. And just in case you may not have run into this debilitating aging problem before…..the loss of muscle mass and strength along with impaired function with aging is called Sarcopenia. And that is the short version of the sarcopenia definition. Go here for a clinical definition. Keeping ahead of the symptoms of sarcopenia – your author at 70+ doing strength training. 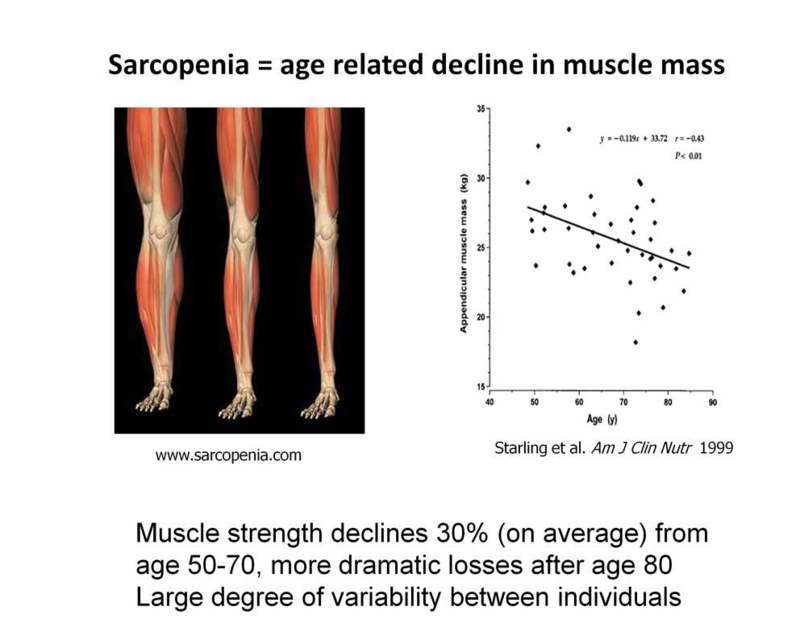 Around 30% of women over sixty and 10% of men in the same age group have sarcopenia so the question becomes, are our bodies in good enough shape to enjoy the extra years science now tells us we are going to have because of all the improvements in medical science? In many cases no, but you can easily do something about it and it provides excellent results. It doesn’t come in pill form and you can’t get it over the counter……..it’s called regular exercise. Unfortunately, there is one thing that hasn’t changed over the years. If we don’t take care of ourselves as we age by exercising regularly then our bodies cease up, become weak and unable to support us into a ripe old age. Just like that rusted old pair of fencing pliers out in the shed. The only thing that will help them is a good squirt of WD40. Our joints are no different. We also end up gaining weight as we get older (especially after 50), contract back and joint pain problems, osteoporosis, balance issues and numerous other lifestyle diseases. It all comes back to the old saying of “you can use it or you can lose it”. And one of the main reasons for this is Sarcopenia – or, Loss of Muscle Mass. So what is your muscle mass age? 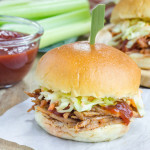 Check out these results from researchers at the Penn State College of Medicine, Penn State Health Milton S. Hershey Medical Centre and Columbia University. They tracked the activity of more than 30,000 over 65’s from 1997 through until death, and found that while all types of physical activity positively impacted longevity, strength training had by far the greatest effect, especially on your independence. It is further explained here: Why Strength Training is SO Important as You Start Aging. What this means is this group of people engaged in an Active Ageing program, which is the answer to all your sarcopenia problems, they were putting a halt to the decline of skeletal muscle tissue caused by the aging process. 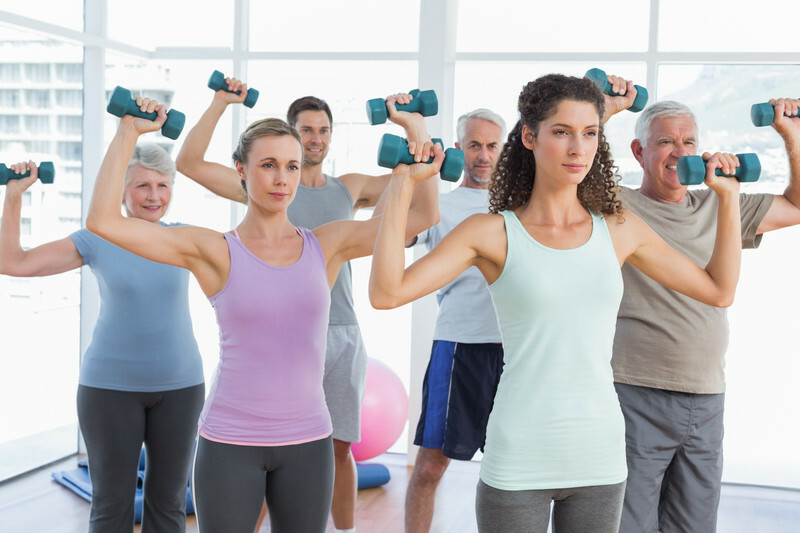 You can read more about Weight Training for Seniors here. It offers some great insights into training for power and function, as against straight out strength training, which is also vitally important to all we baby boomers who are looking to maintain our independence. Active Ageing is your best solution to Anti-Aging and/or loss of muscle mass with aging. It’s the ideal Sarcopenia Treatment. You might also ask; what causes this muscle loss with ageing? The answer again is sarcopenia. And yes, I know a lot of people are reading this and asking themselves, “What is Sarcopenia?” I have never heard of it up until now! It is one of the first things I explain to my new-start senior clients as it helps them to quickly understand what is happening to their bodies as they age and how they can fix it (quite simply too). In short, sarcopenia is the loss of muscle mass with aging and it happens to virtually everyone……unless you do something about it. Literally it means flesh loss – from the Greek ‘sarx’ or flesh and ‘penia’ or loss. As against bone loss from osteoperosis which seems to get much more publicity, sarcopenia poses very similar risks for people as they age as it also causes loss of independence. Not something that is going to help you enjoy independence in your retirement years. But fortunately, you can do something about it. Check out what Professor Roger Fielding has to say in this video as it will give you the motivation to get in and start reversing the process. As you age muscle atrophy affects your posture, stability and balance. One of the reasons why older people have so many falls yet it is quite easily fixed with a regular moderate exercise program designed by a personal trainer to suit your own personal needs.. It has recently come to light that the average person from age thirty through to your sixties will lose approximately 7 kilos of muscle so you can probably guess what I am about to say here…….and it is all about ongoing exercise, otherwise you could have some problems in your “golden years”. No one wants to lose their independence as they age…….of all the older people I have spoken with it is number one on their list of fears associated with aging. 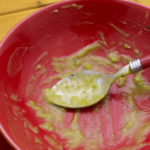 I’ll say it again because it is very important that I get the message across……..it is so easy to do something about this muscle mass loss as we get older so whatever your age, to stop the rot, get your healthy aging strategy in place now. Just thirty minutes a day of the right exercises will do it for you. So what’s stopping you? And here’s an important tip for all the ladies……I can’t emphasize enough how important it is for you to start and pump some iron. You see, once you go through menopause, women tend to lose muscle mass and gain body fat. So by doing some strength training you can kill two birds with one stone……control your weight and control the age related loss of muscle mass. Do You Have any Sarcopenia Symptoms? One of the most important things that will contribute to a strong and healthy body is regular moderate exercise and eating good clean food. The benefits of exercising well into your senior years will determine whether you enjoy quality of life as well as longevity. It really is as simple as that. Muscle mass is what keeps us fit and strong and helps to burn calories that maintain a healthy weight. As we grow older, we start to lose between 3% – 5% of our muscle mass every ten years after the age of forty and this muscle deterioration can be the cause of many serious health problems in later life. Strong muscles give us bone strength and good balance and when we lose muscle mass it could result in the loss of our mobility and ultimately our independence in our retirement years. Not something to look forward to, is it? And like a cracked record, I will repeat my sage advice just once more as it is the one thing that will really help you enjoy the quality of your retirement years……..is that even if you have always lived a sedentary lifestyle, or you have stopped exercising as you have got older, it is never too late to rebuild lost muscle mass caused by sarcopenia symptoms and regain a good proportion of your lost strength. The best exercise to build muscle mass is weight lifting and resistance exercises. Now this certainly doesn’t mean you have to push weights like a 25 year old bodybuilder and drink gallons of protein shakes. It is much easier than that to get some good results. A recent study done with both males and females between the ages of 72 – 98 years who lifted weights three times per week over a period of ten weeks reported a muscle mass increase in their thighs of almost 3%. That’s a great result. After 3 months this same group showed an amazing increase in vitality and endurance when they were able to increase their ability to walk longer, from 25 minutes to 35 minutes. Regardless of your age, you will be able to increase your strength and endurance within days of starting a weight lifting and resistance program. In addition to increasing muscle mass that will get you going again, an added bonus of weight training is that the brain participates by sending signals to the nervous system regarding which muscles will be needed for the movement you are about to perform. The more you exercise, the stronger this signal becomes, making your muscles stronger faster. Another vital reason for seniors to exercise is to increase your endurance. As we age our endurance starts to decrease which impairs our mobility and makes us more susceptible to disease (e.g. heart disease) which often leads to premature death. Lack of exercise in mid-life to old age can also cause severe fatigue, muscle cramps and difficulty in breathing properly. When you exercise well into your later years you will also greatly benefit from an increase in balance and flexibility. The older we get the more brittle our bones become and good balance will prevent serious injuries from falls associated with old age, which could rob you of your independence as well as your overall health. The long road to a strong and healthy body starts with gaining good muscle mass which is easy to obtain with a few simple weight lifting and resistance training exercises on a regular basis. All the more reason for you to start exercising at age 55 rather than 65. This is why exercising NOW is so vital in preventing serious health issues later on in your life. My aim is to teach people of all ages how to THRIVE and not just SURVIVE as you age. That’s why I want everyone over 55 to know how debilitating sarcopenia, or muscle loss with age, can be over the long term and to know how they can stop, and even reverse, the symptoms of sarcopenia. I see far too many people my age suffering from sarcopenia symptoms and many other lifestyle diseases and it almost totally ruins their quality of life in their retirement years…….just at a time when you should be out there enjoying yourself. Don’t delay, get your exercise program going today and start living and enjoying a better quality of life by implementing a program for sarcopenia prevention. 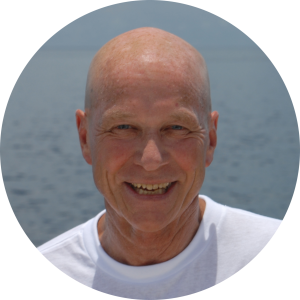 Cheers – John – your Active Aging Mentor and Coach. P.S. Do a friend a favour…..encourage them to read about the symptoms of sarcopenia so they too can retain their independence and ultimately have a longer, happier and healthier life – like and share. Thanks – John. Very true I am 74 train 7 days a week 1 hour, light weights high reps, full body, lots of abs, resting BP 110/61 heart rate 40, and I have a better body than most 50 year olds. Hi Tony…….thanks for your comments, I love hearing stories like yours. It is great motivation for all the others in our age group. Cheers – John.